All the children and adolescents living in the Home are required to attend school. Our aim is to have each child progress as far as they can in their education and we strive to tailor the support and opportunities given to each child to be such that it provides them with greatest chance of success. This means that in most cases, we send the children to private schools as the conditions in the local public schools are such that (in our opinion) students have little chance of being able to progress to higher education. The local public schools can have classroom student/teacher ratios of up to 200:1 and most lack sufficient quantities of any kind of educational material. We encourage the children to continue their studies at least through Junior High School (Grades 6-9). The ones who show interest and ability continue to High School (Grades 10-12) at the end of which they write the International Baccalaureate (IB) exams. Those who succeed can either continue to a 3 or 4 year university program or go to a vocational school such as nursing school or teachers college. 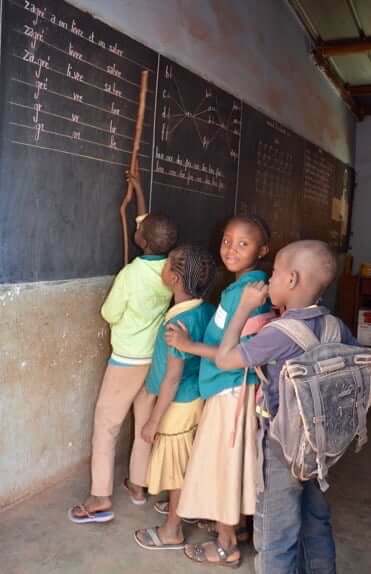 Prior to sending our children/adolescents to a particular school, we thoroughly investigate the quality of education and the reputation of the institution. Should the student be required to leave the Home prior to finishing their education, REPT will usually continue to support him/her by paying school fees & paying for healthcare until their education has been completed. Outside of school hours, we encourage the children to participate in extracurricular activities such as sports (soccer is very popular), dance, music and art activities. We also encourage their participation/attendance in local cultural events like theatrical performances, concerts and story-telling. Reading is strongly encouraged as so many benefits are derived from a love of reading. We try to keep the Home supplied with books (many donated) that are relevant to life in Africa so that the child & adolescent readers can better relate to them. The summer holidays are long in Burkina Faso (4 months) and it can be a challenge to to fill the time in a positive manner. It does provide an opportunity for the children who did not perform well during the regular school year to take remedial classes; and for students preparing for the IB exams to get some additional tutoring. Summer is the ideal period for Volunteers (usually from France or Canada) to spend time at Souman Nafaman as this is the when they would be able to spend the most time with the children. Volunteers who come to stay in the Home for a period of time can help the children practice their reading and conversational skills, and can accompany them on outings or day-trips which is a real treat for them. The children benefit a great deal from having visitors and they enjoy it as well. Anyone interested in volunteering may contact Brigitte Roussel. Since 2013, REPT has provided financial support to a Summer Camp in Ouagadougou (a couple of hours away from Bobo Dioulasso) and several of the children from Souman Nafaman have been able to go to the camp. There they spent time with other people from a variety of backgrounds and all age groups. Summer Camp activities have included learning about and planting trees, arts & crafts, cooking classes, beading, dancing & singing. The Summer Camp is described in the “Other Activities” under the “Programs” tab of this website.